yet too many people with dreams and goals are waiting for the right moment, the right opportunities, the right and perfect partner, and everything to just line up for them. Do you find yourself in this category – where you are shifting, and postponing the pursuit of your dreams to some future date when everything will have be perfect. Hey its time to wake up! There will never be a perfect time to go after your dreams and goals. Watch this video and find the motivation to get up and start taking the right actions to actualize your dreams. No matter where you are on your goals for the year, just remember that it is over yet, and you can still crown this year with success. But for this to happen, you must get up each day to begin to turn things up. You see the greatest obstacle to success in life is just sitting by and trusting that something will turn up instead of going to work and turning things up. Today too many people are relying on chance, horoscope, or luck rather than on certainties. This mindset as slowly crept into our churches, where we find Christian faithful who wouldn’t put God’s word to work by taking the steps to bring their dreams to reality, instead they wait for things to be miraculously provided for them. God we thank you for a new day, for another opportunity to redeem ourselves. O Lord, you who is infinite wisdom and the source of all strength, grant that whatever today brings whether good fortune, disappointment, pain or pleasure, we may meet it with a brave heart and a cheerful face and use it to your glory and the good of others. Help us to be interested in the welfare of others, that we shall not just be thinking only of ourselves; so intent on winning your approval that we shall not be unduly concerned with the opinion of men. Put your principles into practice. It is what you do and not what you say that matters. Stimulate your ideas into action. Dormant ideas and aspirations are of no value when they remain inside you, it is only when they are put into action that they become value to you and the world. Make your thoughts work for you. Transform your desires into deeds, your resolutions into results. Your personal powers are made paramount by ideals, principles, desires and resolutions. The specific ways in which you use these powers in your daily life will largely determine how successful you become. Give earnest attention to these vital things, apply them intelligently and you will go forward to inevitable achievement. Success will be yours precisely to the degree that you use your powers right. There is nothing more sad and sickening that to see a person who nurses a dream, an ambition, always wishing and hoping, but never doing anything about it. He nurses the flickering dream, but never lets it break out into flame. Some of you are that way. You talk and think about having a second income, or owning your own business, or pursuing your dreams. Or maybe you have private dreams in other areas: you want to go back to school to pursue another degree; you have a small business and you are thinking about expanding; you want to travel abroad; you want to start a career of becoming a speaker or writing a book. One day two butterflies were on the edge of a flower, discussing. One said, “We cannot know whether there is any honey in the flower; no butterfly ever found honey, and no butterfly ever will.” The other said, “Well, nevertheless, I think there might be some.” And while they argued back and forth, a humming-bird flew in and ran its long beak into the flower, and sipped the sweetness they flew away. 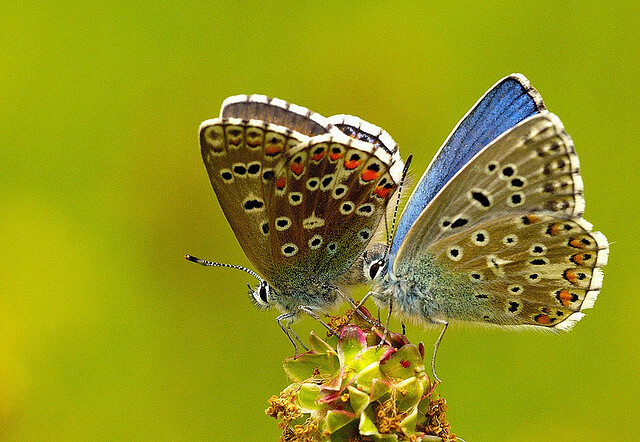 Most of us are like these two butterflies, we sit by, discussing, arguing, planning, and praying but we never dare take action. And while we contemplate and plan, someone else rushes in and takes the opportunities from under us and become successful.